I never set out to have an essential oil collection, it just happened. I received my first essential oils a couple years ago as part of a PR sample. 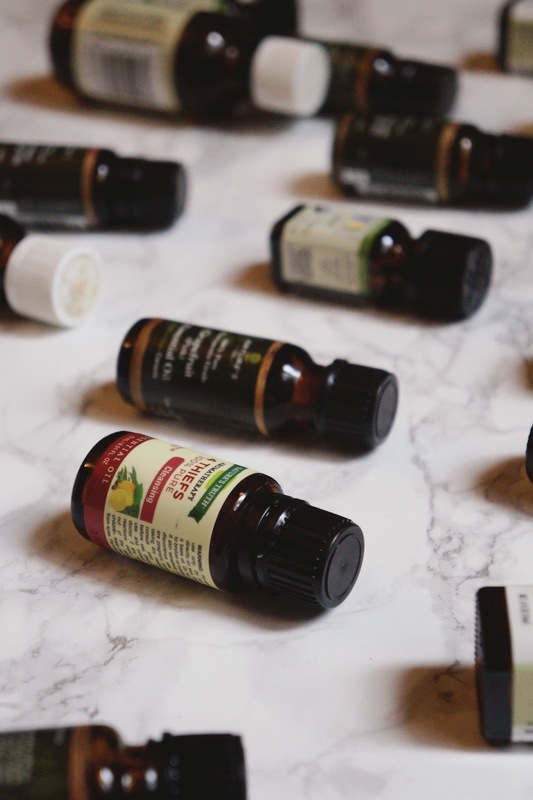 The brand sent over several items including a few of their essential oils: Peppermint, Sweet Orange, Lavender, Eucalyptus, Chill Pill, & Lemon Tea Tree. They sent me some of their classics, which I continue to use even today. 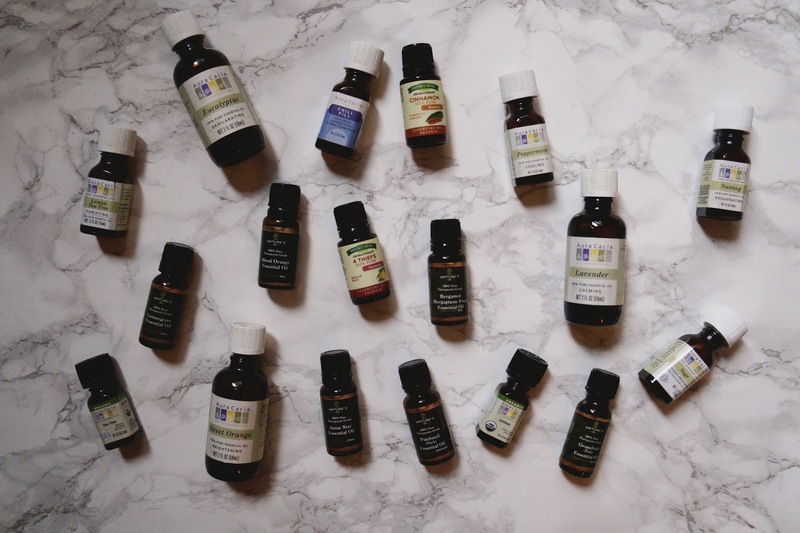 Inspired by the amazing scents & the multitude of uses, I slowly but surely grew my essential oil collection over the last couple years. 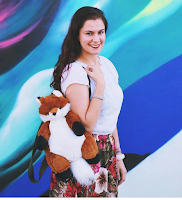 Since they're literally a part of my daily life, I figured it'd be fitting to write a post! This is my updated & current collection. Some are classics that I'll continue to repurchase whereas others are hit & miss. I like to mix & match scents by adding a few drops into my mini diffuser. I can create my own perfumes, body scrubs, bath bombs, & more with essential oils. Woohoo! Eucalyptus - I use this as aromatherapy to invigorate my senses, open the sinuses, & improve mental focus. Great for use in massage oils & muscles rubs to give off a cooling effect. Makes a fantastic scent for a room or car freshener. Peppermint - I use Peppermint in the same way I use Eucalyptus, but it smells different enough that I buy both. Lavender - I love to use lavender as aromatherapy to calm me down or aid in sleeping. Lemon - Great for cleaning since it's a natural disinfectant. Tea Tree - My #1 favorite. I use this for blemishes, bug bites, cuts, scrapes, cleaning & also for aromatherapy. I add some drops to my shampoo to decrease dandruff. Natural disinfectant. Bergamot - Smells like Earl Grey tea. Enough said. Sweet Orange - One of my favorite citrus scents other than Lemon. Rosemary - I adore the scent for aromatherapy to help with alertness. Lemongrass - An acquired scent that not everyone loves. Grapefruit - Citrus scent that is slightly similar to Sweet Orange, depends how many citrus essential oils you want. Blood Orange - Another great smelling citrus option, but not vital if you have Sweet Orange. Cinnamon - Not as powerful/cinnamon-y as I wanted. May repurchase from other brands. Nutmeg - Not as powerful/nutmeg-y as I wanted. May repurchase from other brands. Chill Pill - Relaxing, but you can create a similar mix from ones you have on hand. 4 Thiefs - Can mix & match essential oils on hand to create a similar scent. Lemon Tea Tree - Just mix lemon + tea tree & make this at home. Sage - Not as powerful/sage-y as I wanted. Might try scent from another brand. Patchouli - An acquired scent that not everyone loves. Anise Star - An acquired scent that not everyone loves. Essential oils have so many uses, but that's for another post. I use lavender to aid sleeping too. I need to try eucalyptus for my sinuses! I haven't really gotten into essential oils much, although I do have an essential oil pillow spray that I love! It's lavender and definitely is perfect for calming and sleeping. Thanks for sharing your favorites here! This is really useful as I'm starting to get into essential oils. I will definitely try some of these out. Love this blog post - I really want to get in to oils as I feel I'm missing out! Very helpful blog post. Thanks for sharing. This was such a helpful guide! I've slowly been getting into using essential oils. I love tea tree oil too! 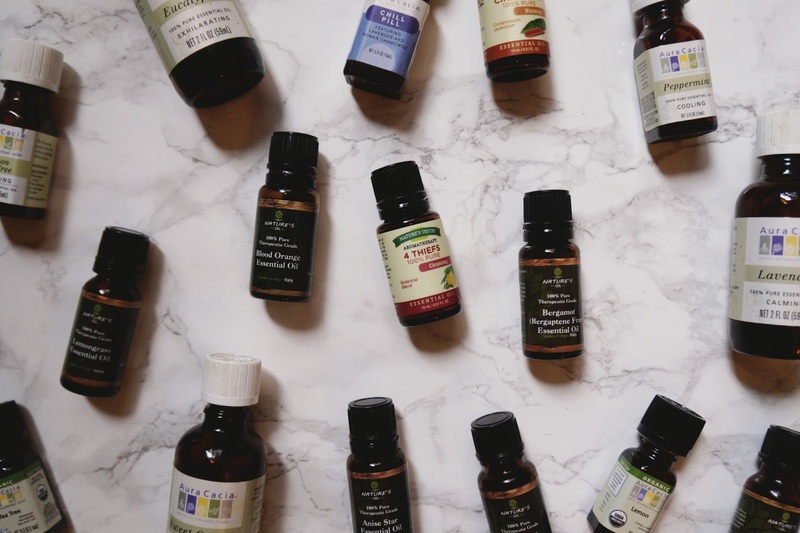 I know nothing about essential oils and wow, I had no idea there were so many kinds! Thanks for the guide! 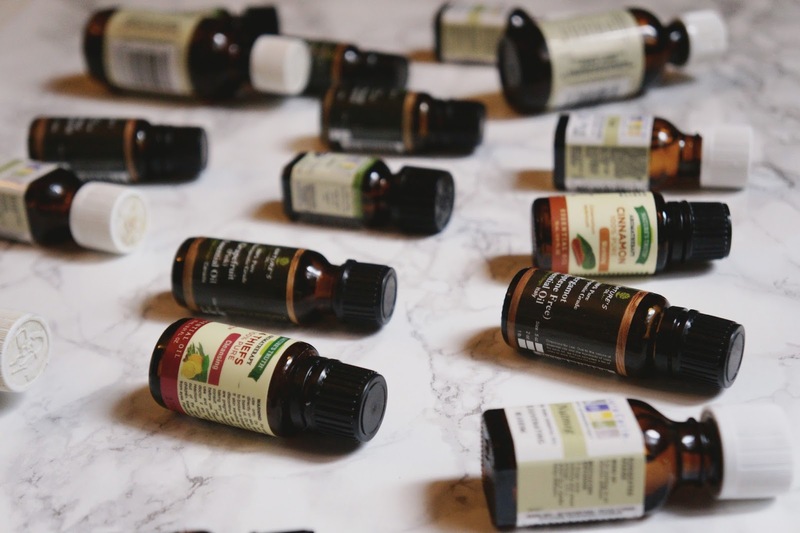 I've always wanted to get into essential oils, but never really knew how to use them. Excited to see your future post on their uses! Chill Pill is one of my favorites as well as Bergamot. Like you said, the Bergamot smells like Earl Grey! I like using Chill Pill when I have a migraine--I think the chamomile and peppermint together help.